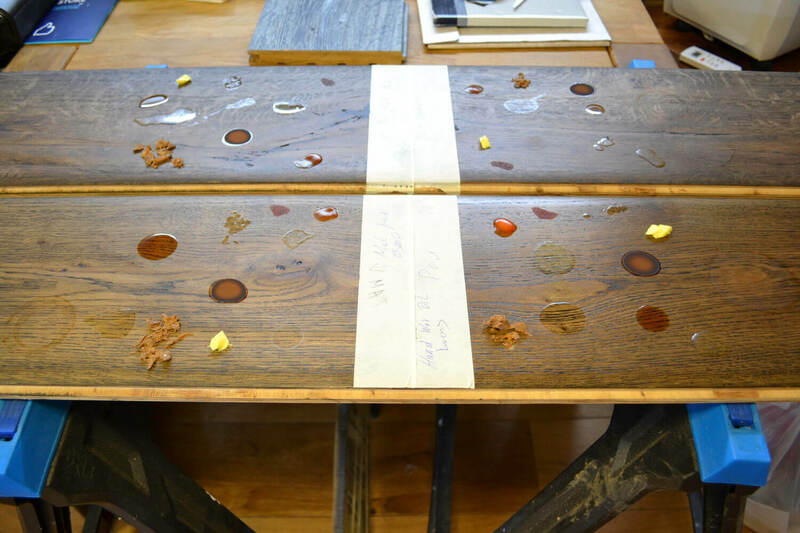 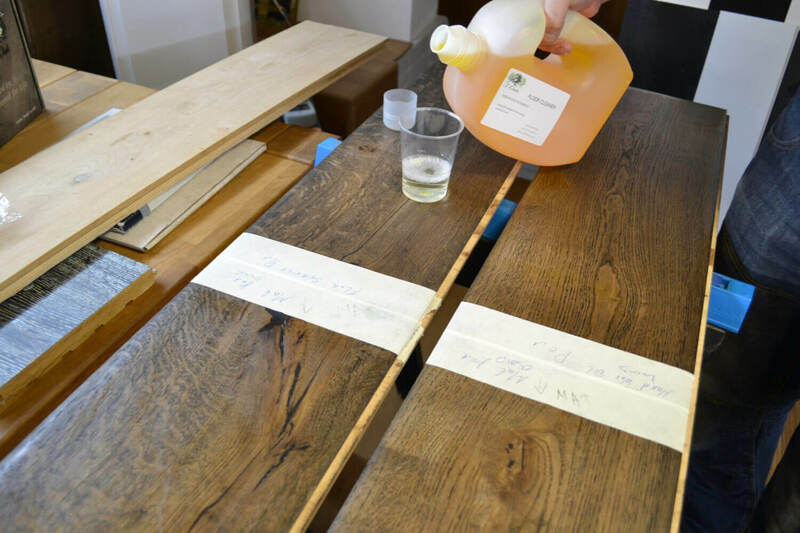 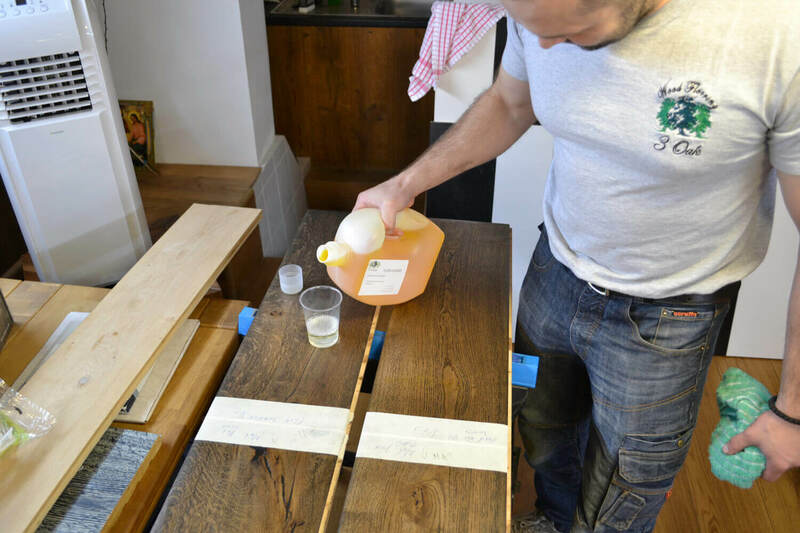 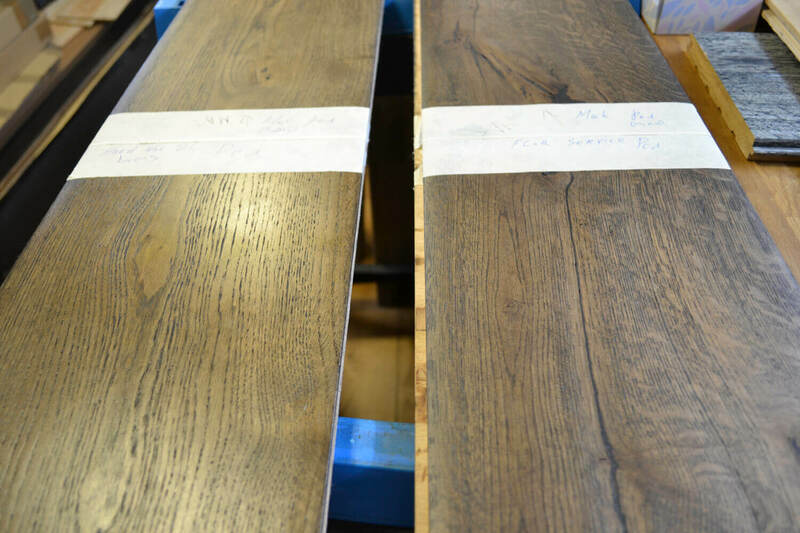 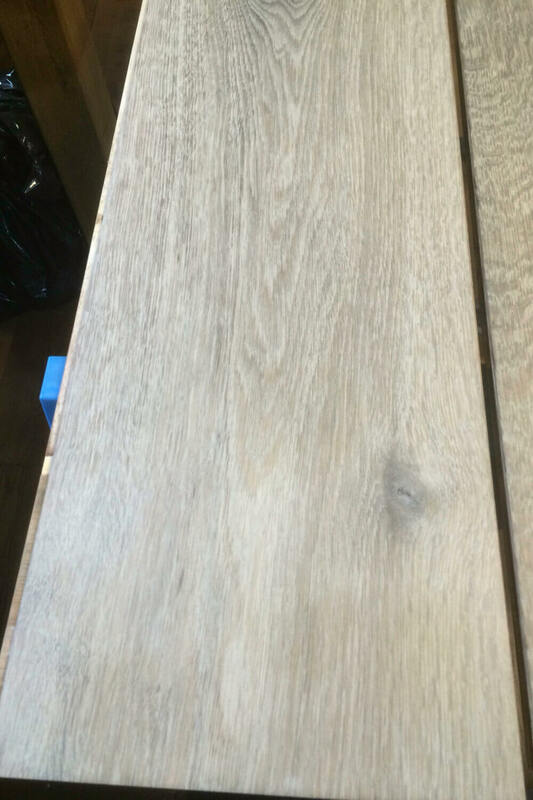 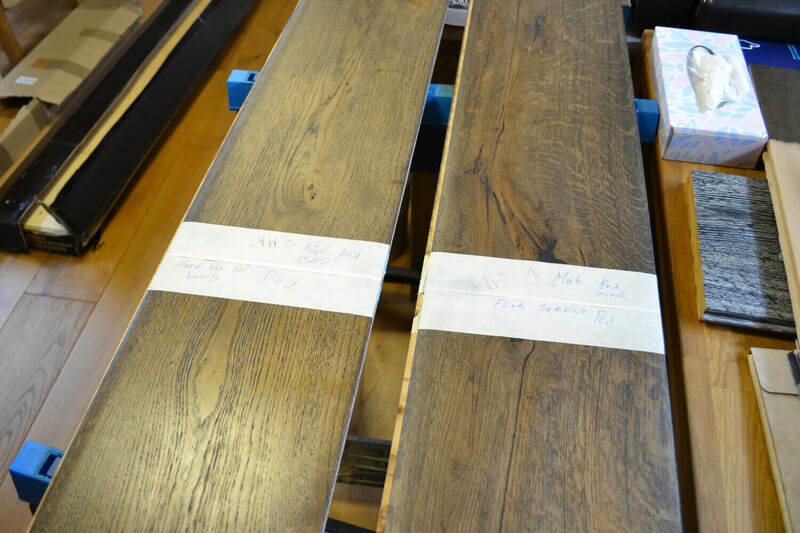 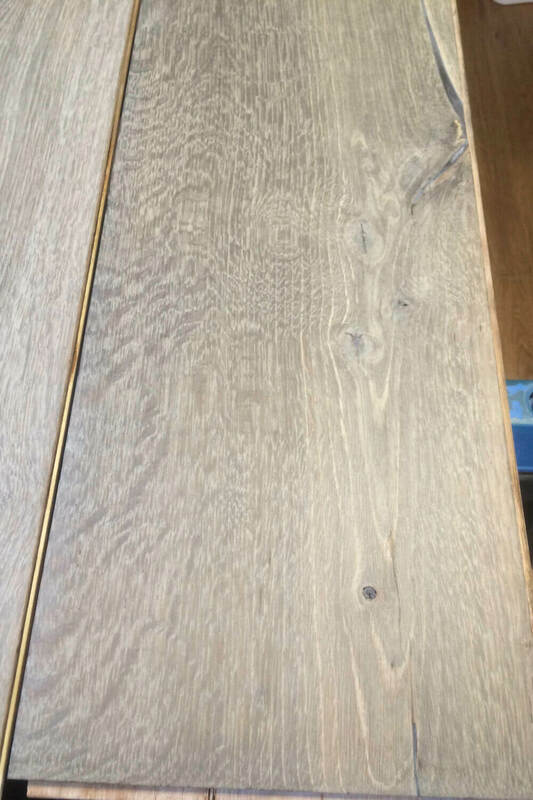 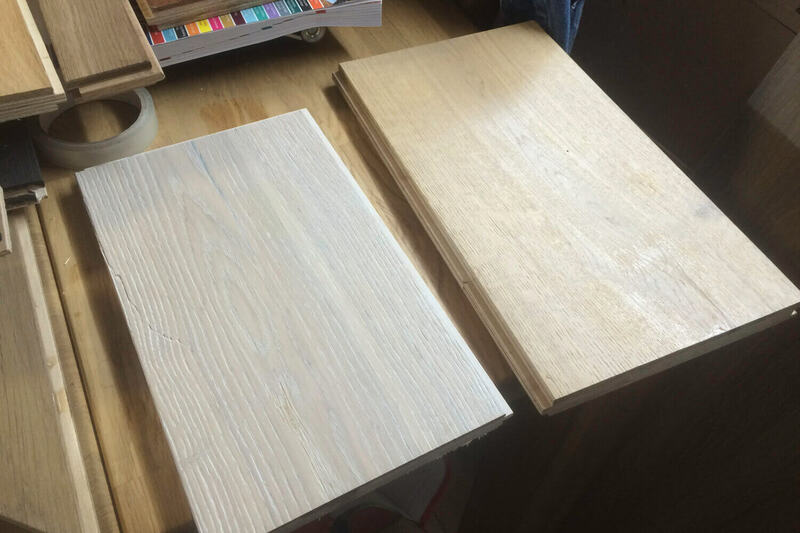 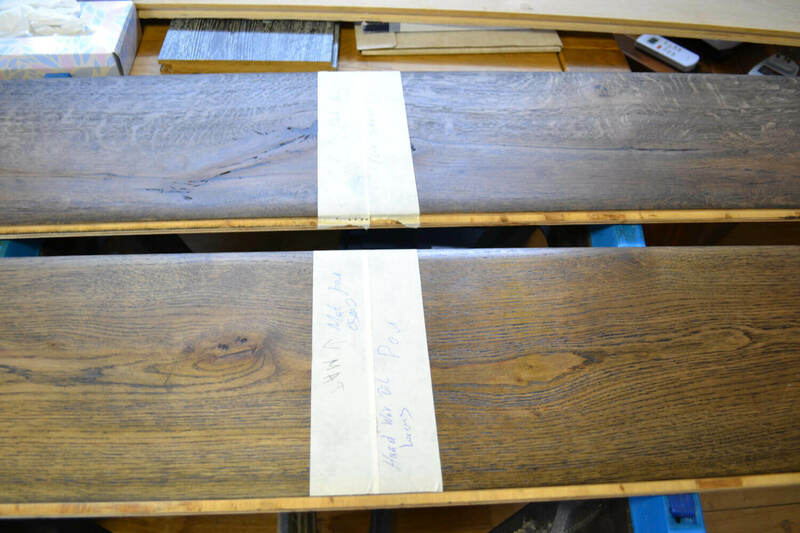 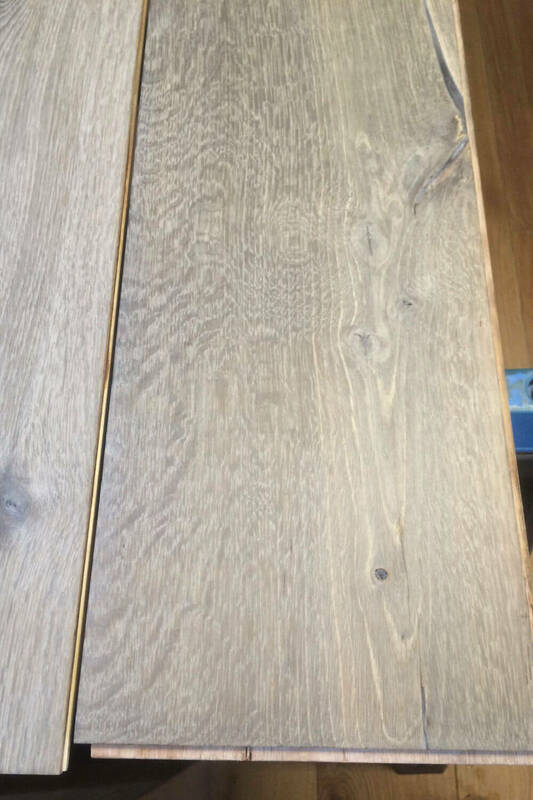 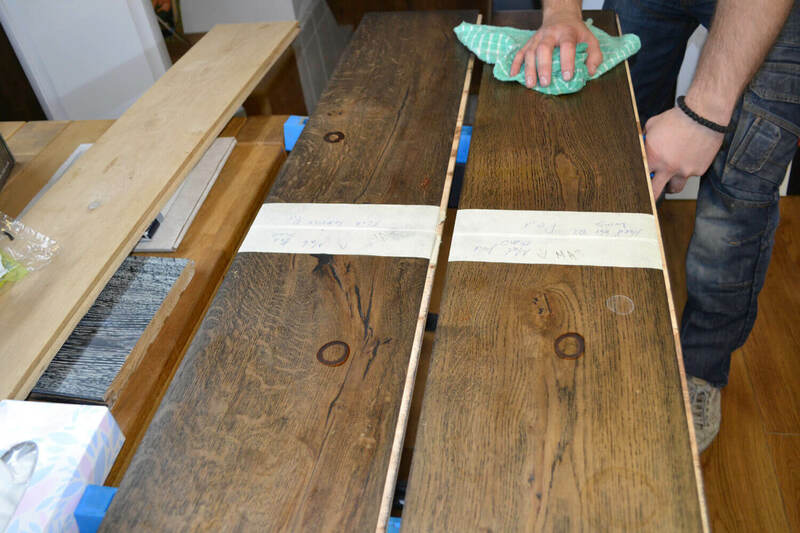 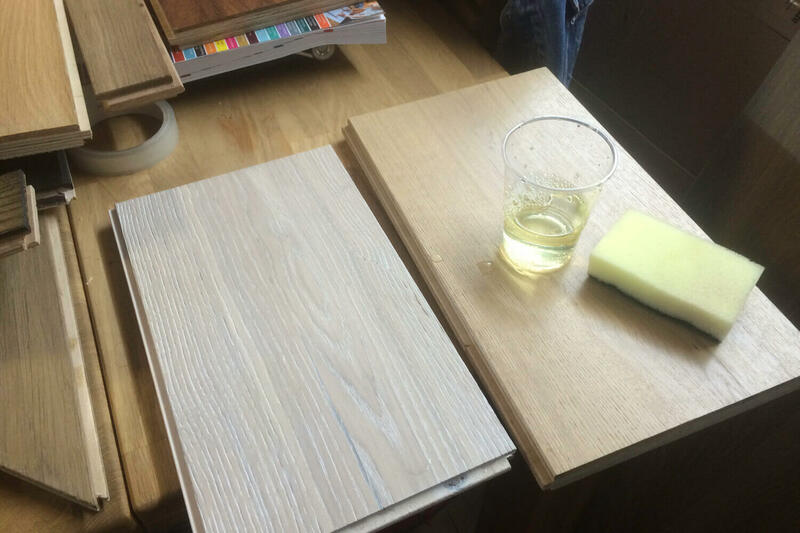 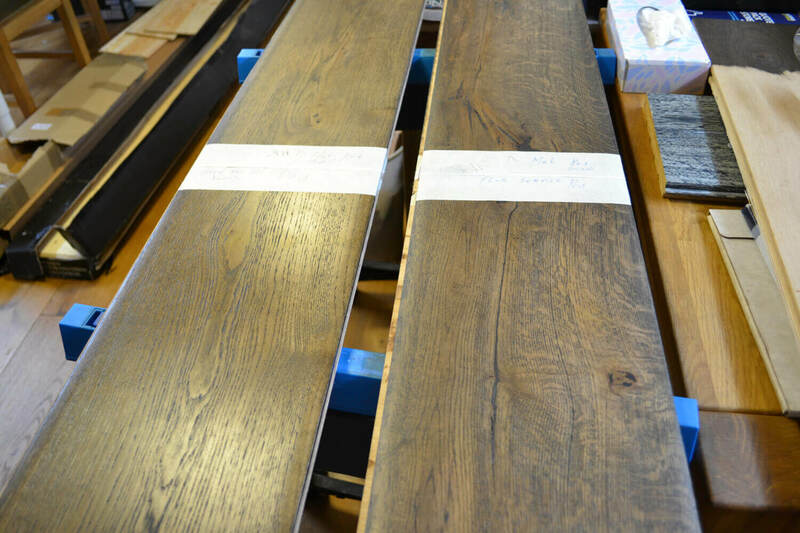 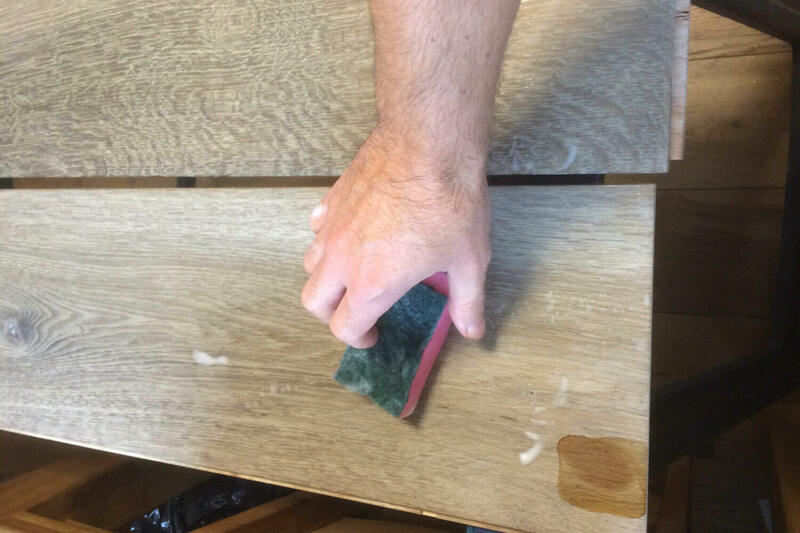 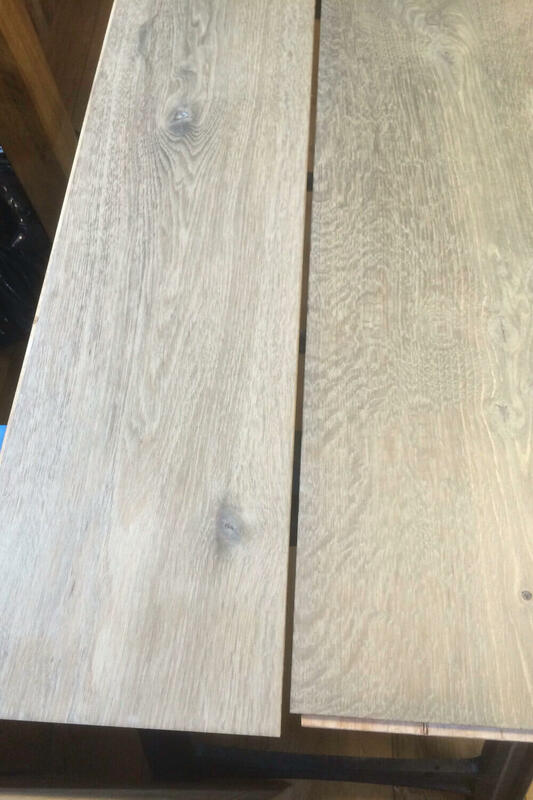 Our Engineered Oak flooring is tested to be able to withstand everyday wear and tear and is guaranteed to be stain resistant to all possible household contaminants. 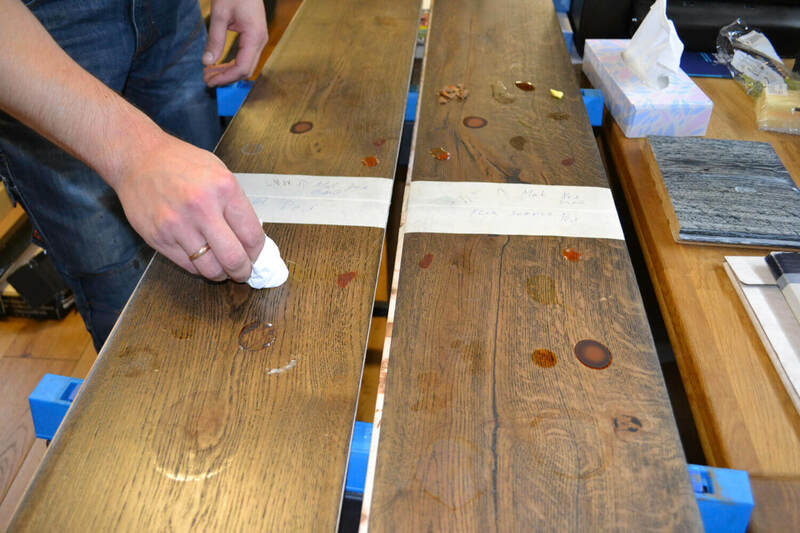 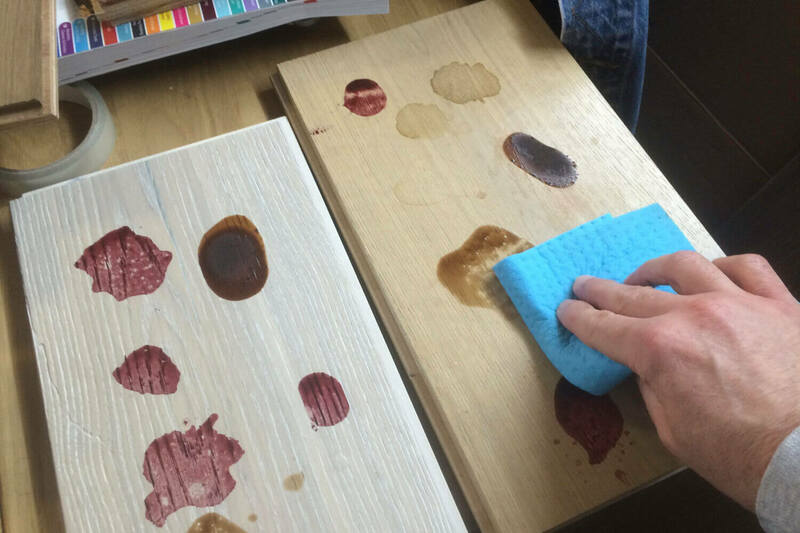 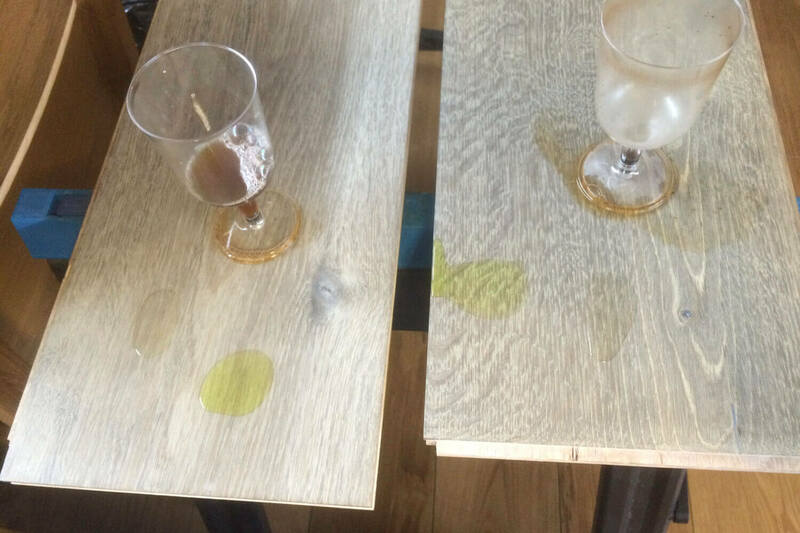 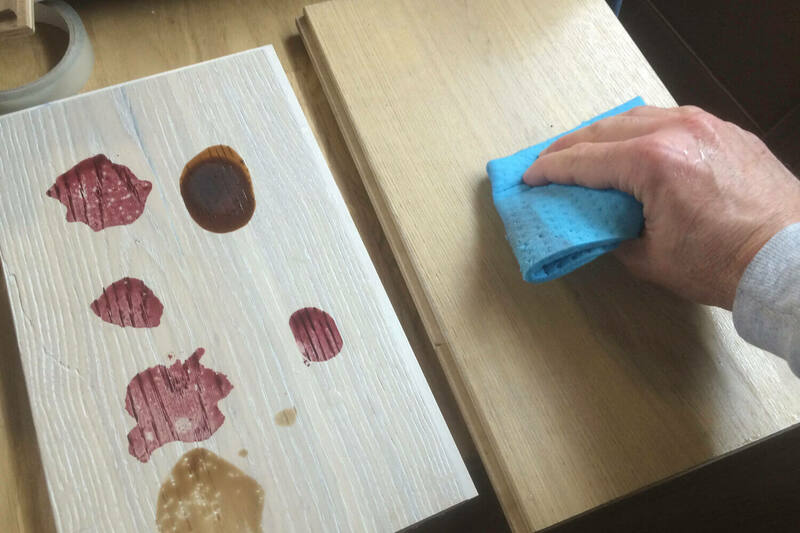 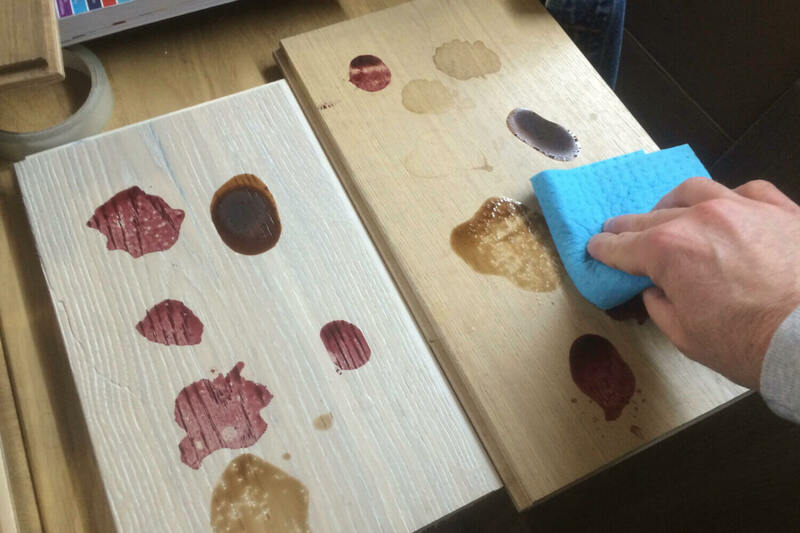 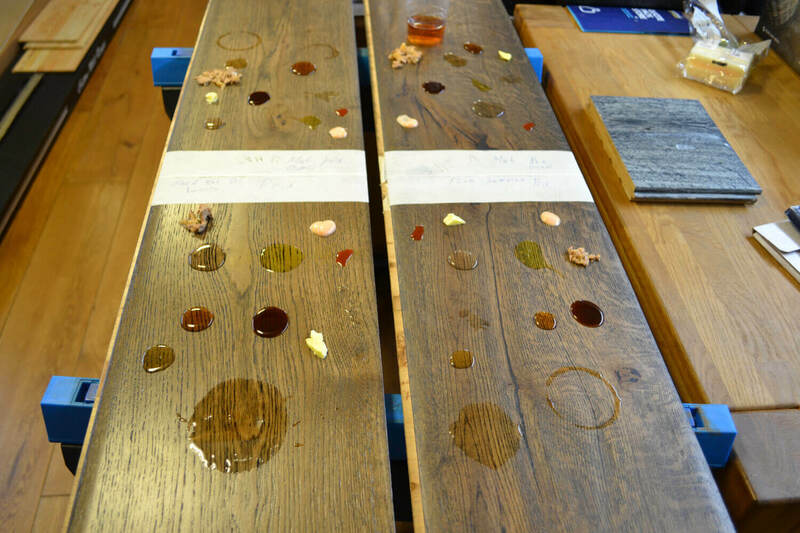 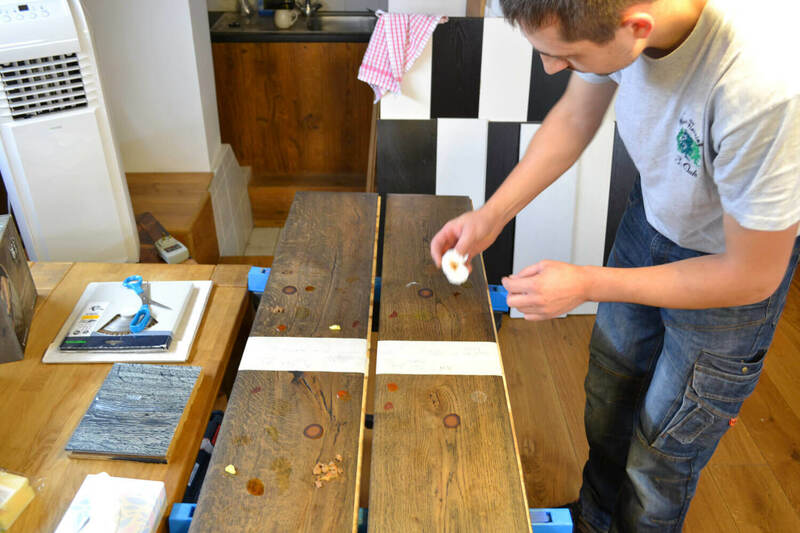 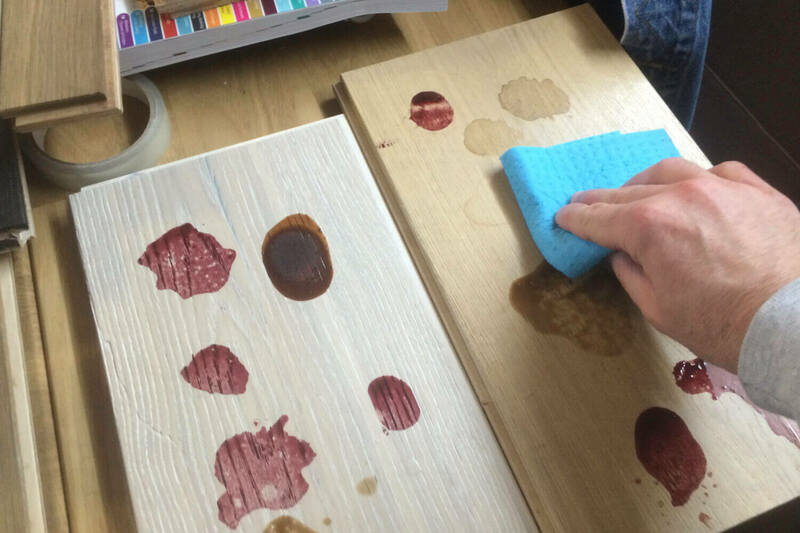 We conduct intensive stain tests for a minimum of 8 hours on all our floors against many common household stains; such as Red Wine, Cooking Oil, Coffee, Tea, Butter, Tomato Ketchup, Cat/Dog food etc. 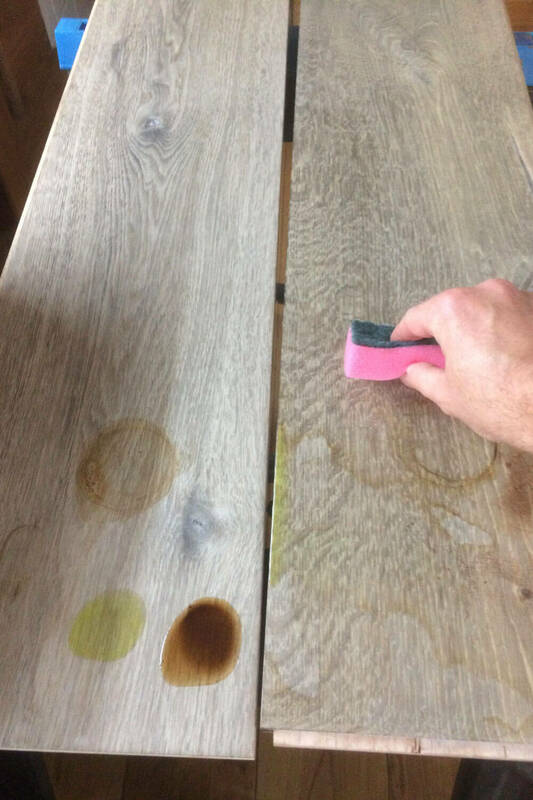 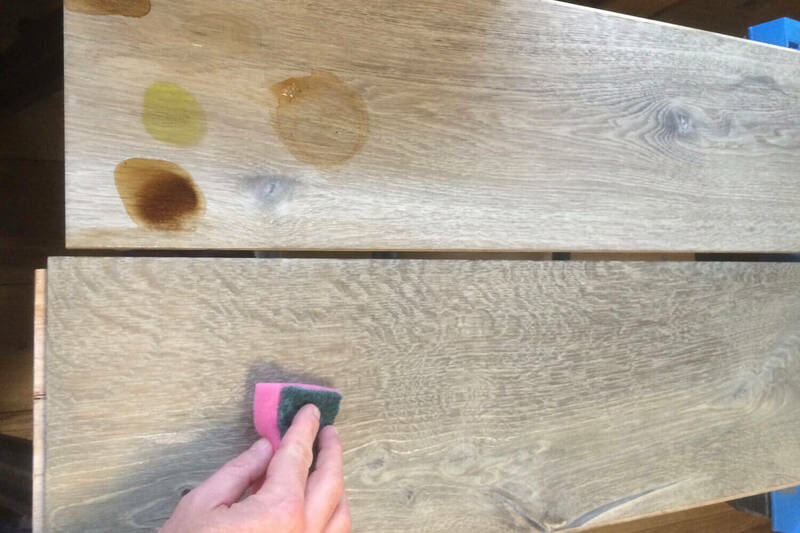 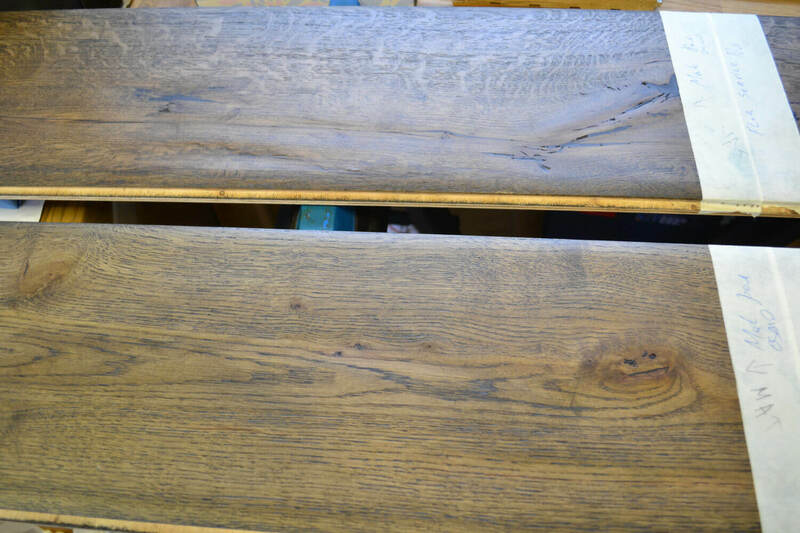 These are able to be wiped away without any residual stain after using our recommended 3 Oak cleaning products. 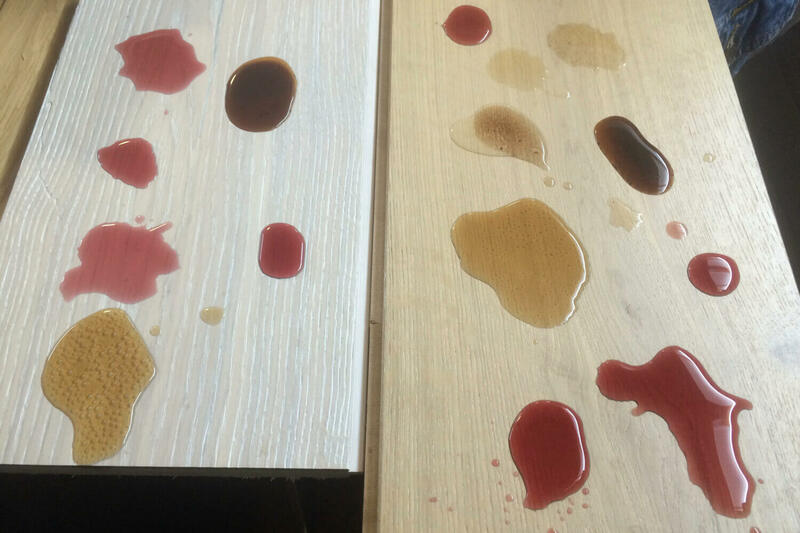 This gives you peace of mind that your floor is protected against accidental spillages will not cause any permanent stain damage to your flooring. 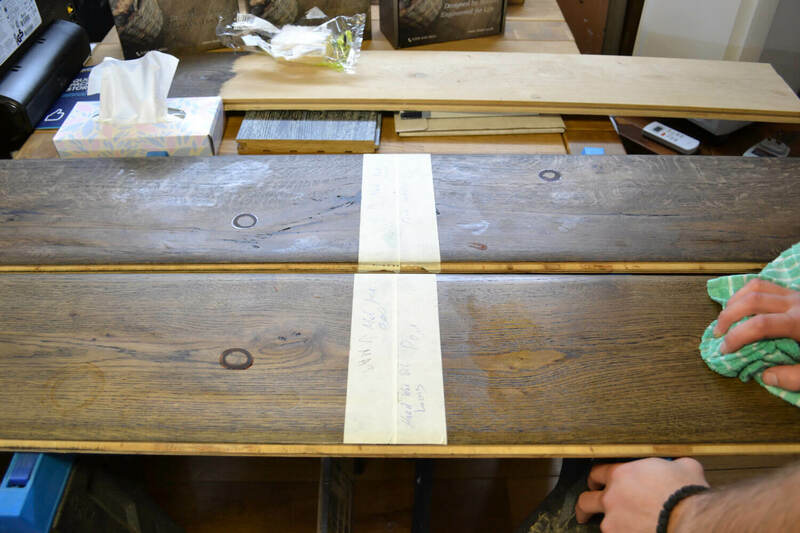 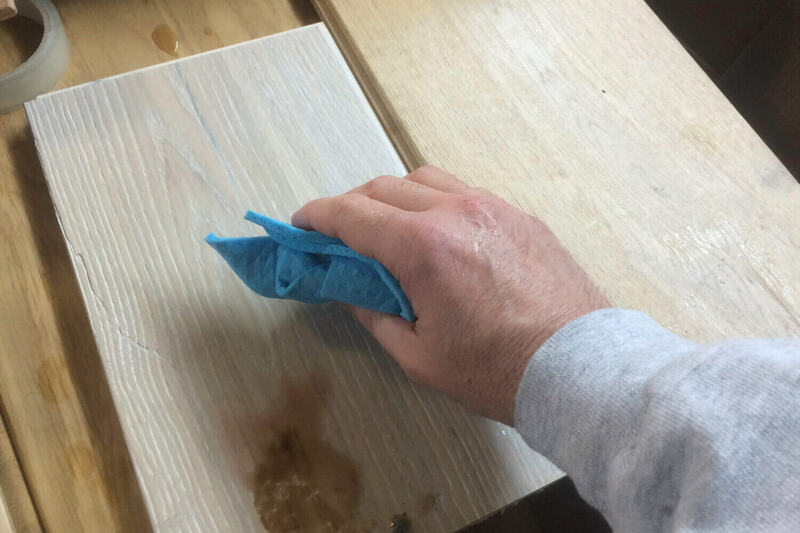 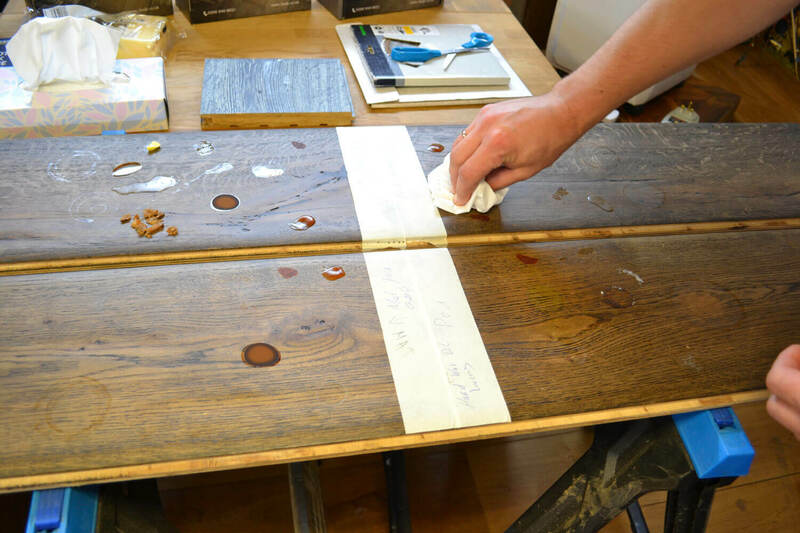 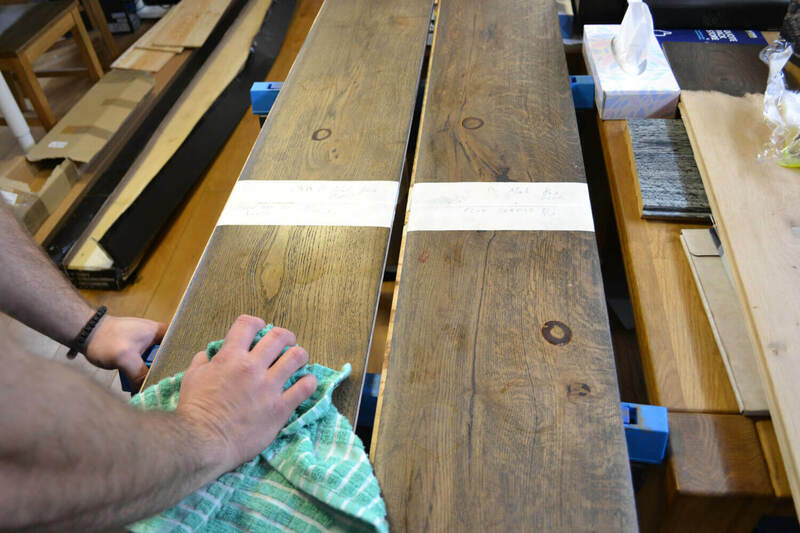 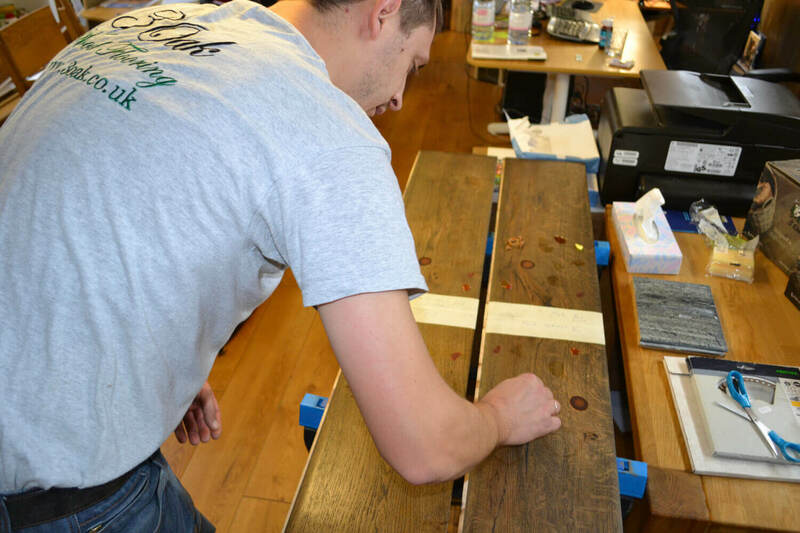 Providing you follow our everyday maintenance care instruction you will be enjoying your stain-free 3 Oak Wood Flooring for years to come.